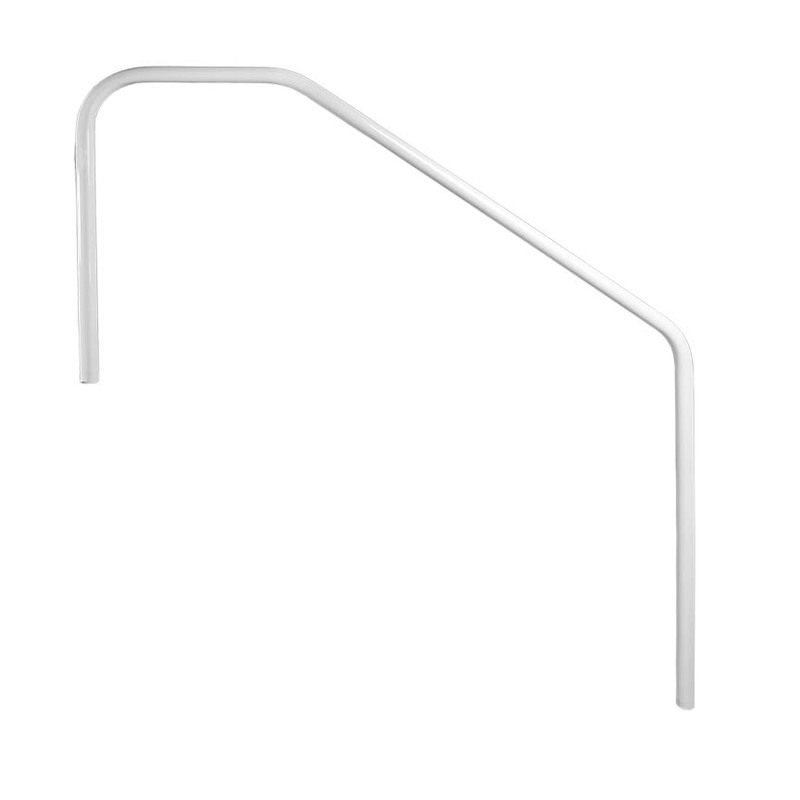 Saftron DTP-360 Three-Bend, Deck-to-Pool Handrail, 32" High x 60" Wide Swimming Pool Rail. Matching color escutcheons included. Free Shipping to Commercial addresses only - Please note this is a truck-only freight item. If delivered to a residential address, there will be an additional shipping charge of $100. 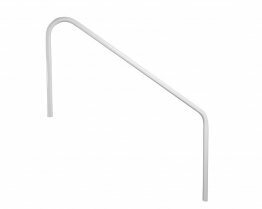 S aftron's DTP Series of handrails are made of a 1/4" thick hard-shell composites that are unaffected by pool chemicals (chlorine, acid & salt). Internally Encapsulated Schedule 40 Galvanized Steel throughout the entire core of the rail results in a beautiful, rigid, durable pool rail. Colors are an integral part of the material and not a paint "after-coat", so they will never chip or flake. Immune to the corrosive effects of Salt Water Chlorine Generators. 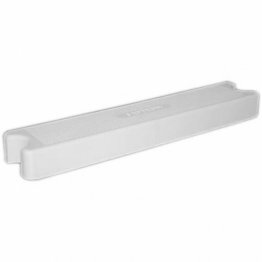 Non-conductive material conforms to all applicable NFPA and building codes without having to ground (bond) the rail when installing. 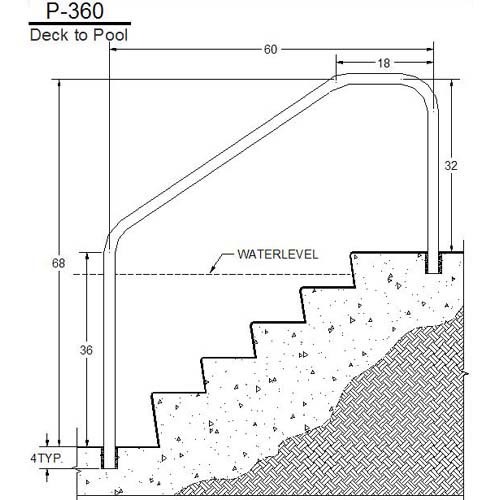 Installation: Rails can be core-drilled & grouted permanently into pool deck, or installed using anchor sockets (ANCH-1) or surface mount bases (SB-F) which are sold separately. Two bases or anchor sockets are required for each rail. 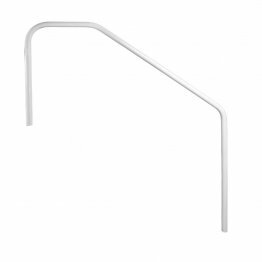 (See the installation instructions section of this web site for details).